Superdry women’s Aisha sequin top. 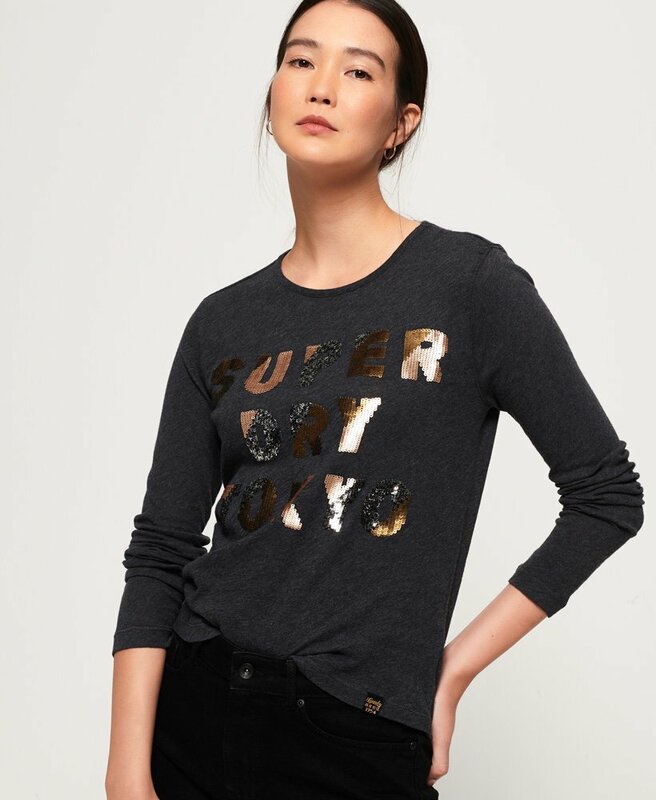 This premium long sleeve top features a Superdry logo in metallic sequins across the chest. The top is completed with a Superdry logo tab on the hem. Finish the look with your favourite skinny jeans and boots for a winning combination this season.